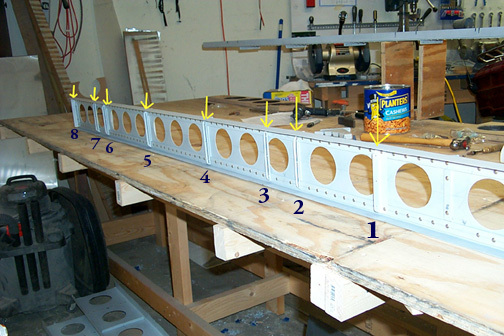 Once both Rear Spars were completed, the parts were all marked for location and the spars were disassembled. 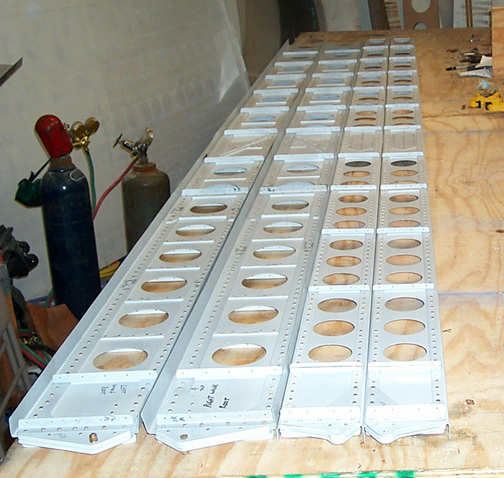 All parts were deburred, smoothed, Acid etched, Alodined and Epoxy primed. 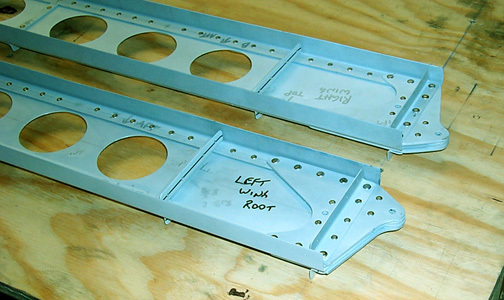 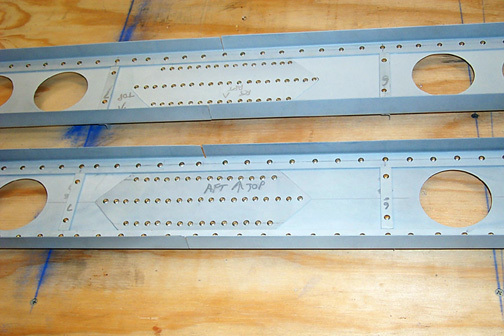 As you can tell, the rib attach angles have also been riveted on using the correct orientation.